Let’s get down to the recap! “Our economy has grown by an average of almost 6% every year since 2014, two times the average growth rate experienced by our EU peers. Our GDP growth is the largest of any EU-member state right now,” said the Honorable Joseph Muscat in his welcoming address. The Prime Minister’s speech overall welcomed advanced technology companies and innovators from the blockchain, AI, and IoT worlds; however, his speech ended with a word of caution. He urged that projects be conducted the right way with clear and sensible parameters without overpromising just to lure FOMO investing. We then left the Summit to attend a private meeting with the Prime Minister and Junior Minister for Financial Services, Silvio Schembri, at the Auberge de Castille in Valletta. 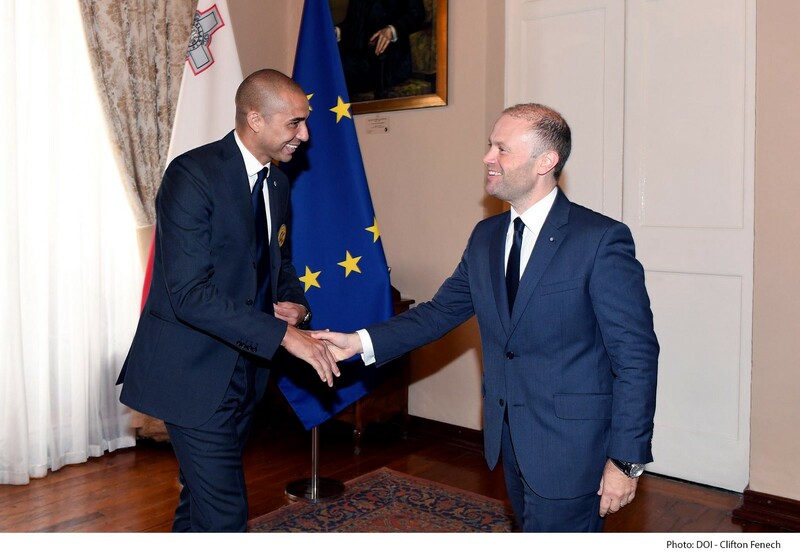 In the meeting we introduced former French footballer and Juventus striker, David Trezeguet, to our hosts, while discussing the future of blockchain in Malta and abroad and the Champion Coin initiative. 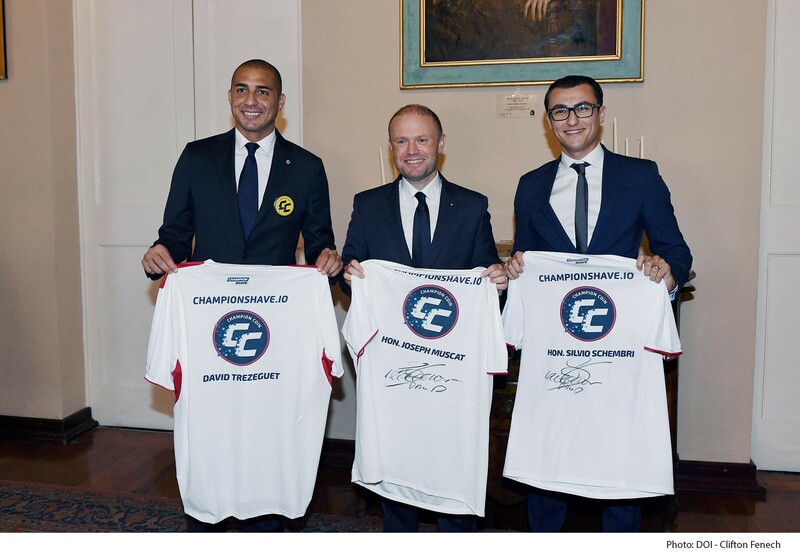 Mr. Trezeguet also presented our hosts with two signed Champion Coin jerseys and commemorative non-fungible tokens. The meeting was exciting and a great success. We are very grateful to the Maltese government for taking the time to sit with us and for creating a progressive regulatory environment in which projects like ours can thrive. We then went back to the Summit with Mr. Trezeguet in tow, causing quite the hubbub! After concluding a few interviews, we were swarmed by excited fans asking for photos and autographs. We then visited booths, met with potential investors, and has a little booth party with our lawyers from E&S Group. 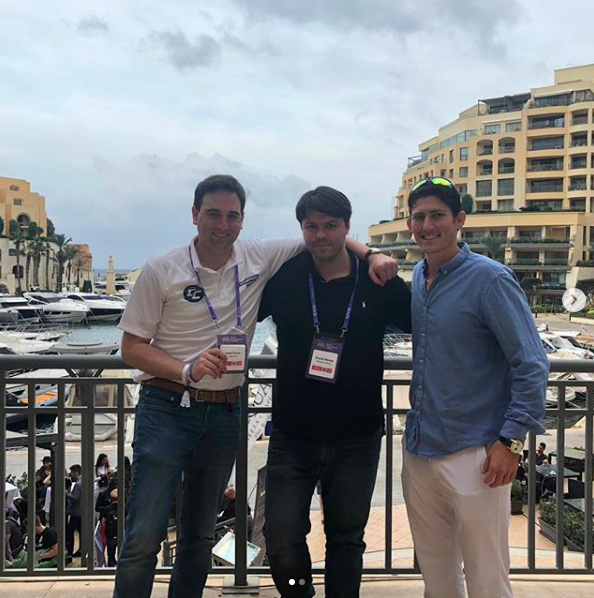 The second day of the event began with a meeting with Bleu Exchange, a Brazilian exchange that is about 4 years old and recently relocated its headquarters to Malta. We made several meetings and spoke with advisors from all over the world. These meeting helped us clarify our vision and helped us avoid many missteps. Later in the day, the team held a meeting with a Valletta FC executive to discuss potential partnerships and use-cases for Champion Coin. Champion Coin CEO, David Farron, attended LA Token’s meet and greet event. The day ended with a VIP party hosted by Champion Coin’s lawyers, E&S. The last day of the event started with the FLETA Champagne Brunch. 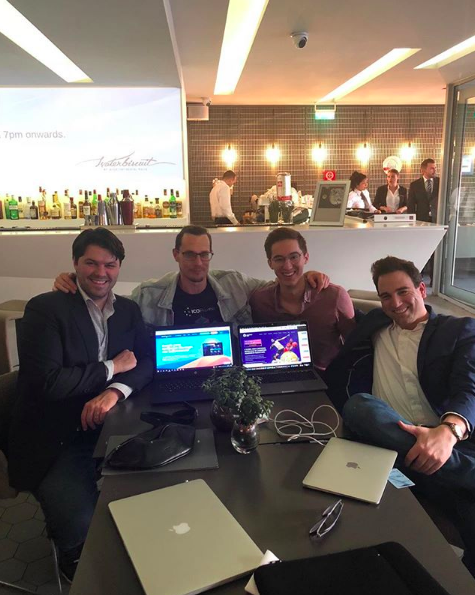 The exclusive invite-only function was a great opportunity to connect with others interested in DApp development, companies integrating blockchain into their businesses, and many blockchain innovators. Day three ended in the early evening as many delegates had returned home; although, we remain here in Malta for the week for several more meetings.